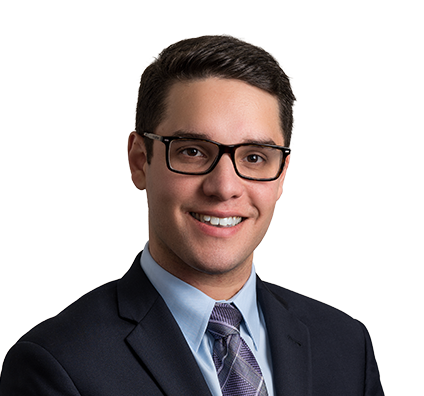 Daniel’s passion for research and writing and his drive to compete help him successfully advocate for commercial litigation clients. Daniel has a range of experience in the areas of contract disputes, consumer protection actions, insurance claims, bankruptcy and education. He performs research on important legal issues and drafts pleadings, motions, memoranda and briefs to assist attorneys as they prepare for trial. Prior to joining Husch Blackwell, Daniel interned for the Hon. Ortrie D. Smith, U.S. District Court, Western District of Missouri, where he gained valuable experience in civil litigation cases. Daniel also served as an interim legislative assistant for Missouri Rep. Josh Peters, assisting with constituent work, discussing strategy, developing press releases and attending campaign events. Daniel enjoys playing tennis, cheering for the Kansas City Chiefs and Royals and reading fantasy, history and historical biographies.